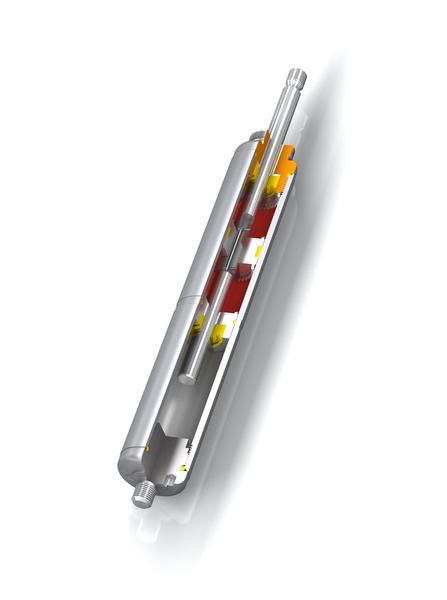 Damping either in one or both directions: The hydraulic dampers of the product family HBS are made in a slim gas spring design and are compact and high in performance. Maintenance-free and ready-to-install they allow precise setting of retraction and extension speeds without any free travel when changing direction. 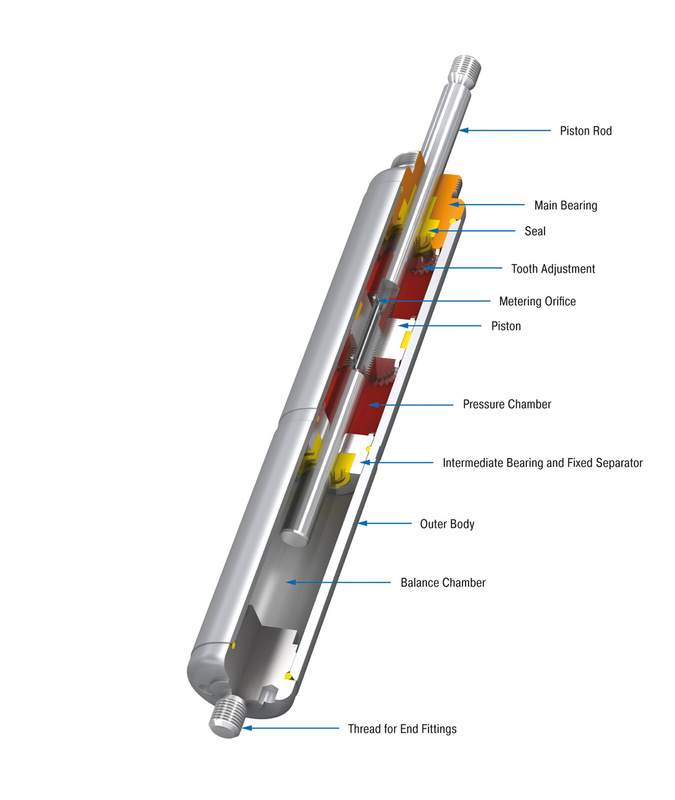 These hydraulic dampers offer constant feeding rates and can be finely tuned via the screw adjustment. A control segment on the piston makes the adjustment at the end position child’s play. Thanks to many add-on components the assembly is easy to mount, so that the damper can be universally deployed for damping back and forth swinging masses, such as in power or free conveyors. Damping force adjustable before installation. The adjustment can add a max. of 5 mm to the L dimension. For long strokes with high forces use swivel mounting block MBS.